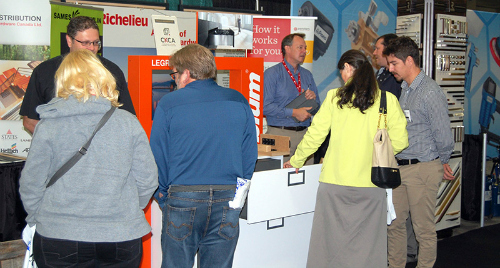 ABBOTSFORD, British Columbia – Western Canada’s largest woodworking machinery and supply show will return to TRADEX here for its third edition for a its usual two-day run beginning 02 October. The organisers said in its previous outings, Canada Woodworking West welcomed as many as 3,000 secondary woodworkers and other industry professionals from across British Columbia and Alberta. In just six years, the key trade event has earned a solid reputation as the region’s can’t miss event for the secondary woodworking industry. Held every other year, the event is owned and operated by Master Promotions of Saint John, New Brunswick. They also organise Canada Woodworking East, which is normally held in Quebec – also on alternate years. The 2019 edition will host of some of North America’s largest and most respected industry manufacturers and distributors serving the following sectors: cabinet manufacturers; furniture manufacturers; millworkers; custom wood product producers; and architectural woodworkers. Companies interested in exhibiting at the show are invited to review the booth package and pricing options on the show web site or they can contact Neeb directly at [email protected]. Canada Woodworking West has again been endorsed by regional industry leaders including the University of British Columbia’s Centre for Advanced Wood Processing; the Canadian Kitchen Cabinet Association (CKCA); and, the Wood Manufacturing Council. For more information, visit the event’s web site at www.CanadaWoodworkingWest.ca or find it on Facebook.